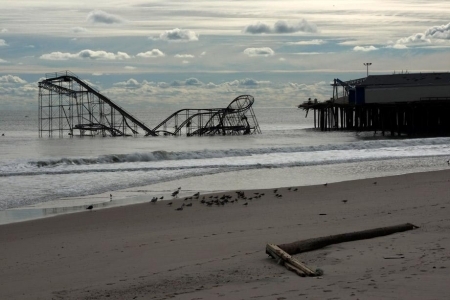 Hurricane Sandy did extensive damage up and down the New Jersey coast. In Seaside Heights, NJ it knocked the entire roller coaster of the Funtown Pier off into the ocean. The roller coaster has been sitting in the waves since the October 29th landfall. Mayor Bill Akers says that a decision has not been made yet as to what to do with the coaster, but they are exploring the option of just leaving it there. He has been working with the Coast Guard to determine if it is stable enough to just leave alone because he believes it would make "a great tourist attraction." Otherwise they'd have to figure out how to tear it down. Crews have already removed the damaged boardwalk. Recontruction of a new boardwalk will begin in January with completion set for Memorial Day weekend. 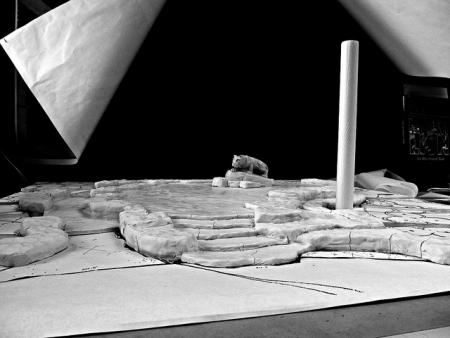 Penn State has announced plans to revamp and makeover the Nittany Lion mascot shrine. The statue of the school mascot lion that is the center of many photographs, especially around graduation time and football games will be getting a new stone stone plaza instead of the mulch that currently surrounds it. The site will also will also have better lighting, a new sidewalk and steps made of stone from Mount Nittany. The project was approved by University trustees last week. They are a gift from the Class of 2012. The work is expected to run from March to August.